Tue., Dec. 20, 2016, 3:30 a.m.
LOS ANGELES – Blake Griffin of the Los Angeles Clippers will have surgery on Tuesday to clean out his right knee, and is expected to miss three to six weeks. The Clippers said the surgery will be “a routine arthroscopic procedure” to remove loose bodies from the knee. 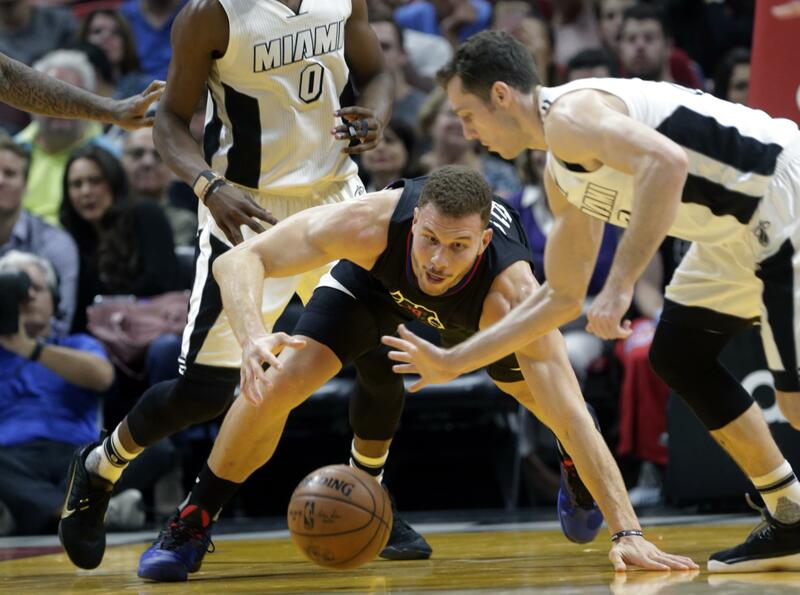 Griffin scored 26 points on Sunday in the Clippers’ loss at Washington. He is averaging 21.2 points, 8.8 rebounds and 4.7 assists this season, and played in 26 of the Clippers’ first 28 games. Griffin is a five-time NBA All-Star. He was limited to 35 regular-season games last season because of an array of injuries. The Clippers open a three-game homestand against Denver on Tuesday, and visit the Lakers on Christmas night. Published: Dec. 20, 2016, 3:30 a.m.